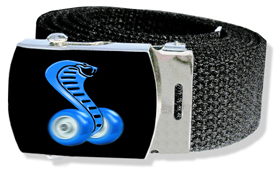 These web belts are brand new, custom made and can be worn by men or ladies. 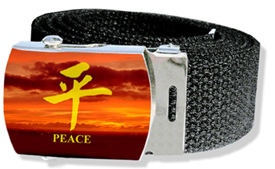 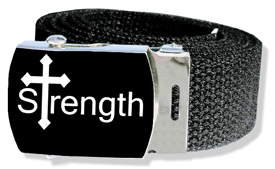 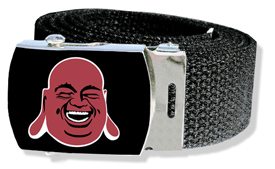 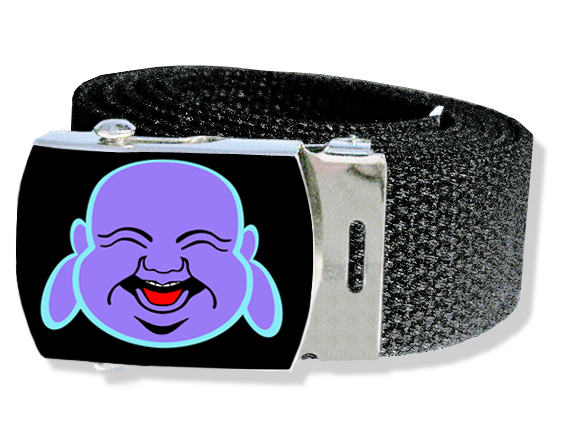 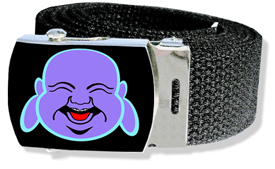 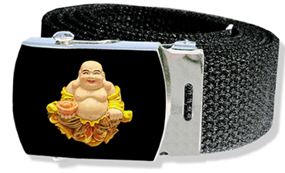 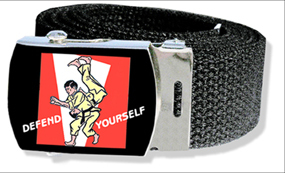 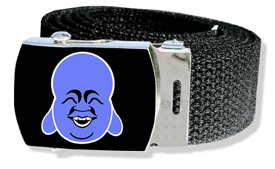 The belt is black and made of durable cotton webbing. 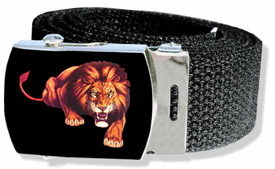 It is 44" long and can be cut to a desired length. 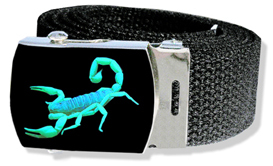 The buckle is a solid steel military style buckle and is removable. 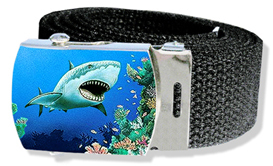 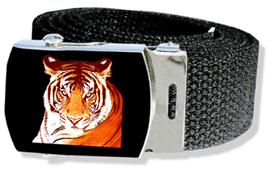 The buckle dimensions are 1 3/8" by 1 7/8 " The artwork is printed onto the buckle and permanently sealed with a hard, durable glossy coating that is similar to fiberglass.